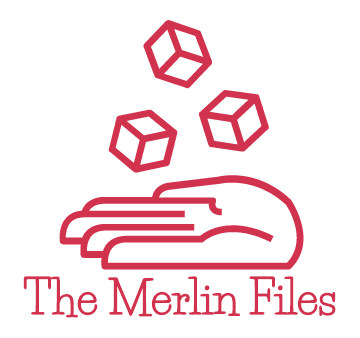 I’ve been away from The Merlin Files far too long, as people have been lining up to remind me. It certainly hasn’t been for a lack of things to write about – rather I’ve become busy, in a good way, and altering my daily routine to adjust to some new realities has squeezed out my poor little blog for a couple of weeks now. Fortunately, I’m back to talk about a film that, quite simply, required a mention. When I first saw the trailers for Thor: Ragnarok, I expressed guarded enthusiasm. Having now seen the film, I can dismiss the guards and sing the mad praises of Taika Waititi’s offbeat cosmic epic. Thor: Ragnarok throws over several of the trappings of its own franchise – gone are love interest Jane Foster, exposition factory Erik Selvig, and comic relief Darcy Lewis. Gone too is any particular concern with Midgard, that unimpressive ball of dirt we know of as Earth. True, the film does pop over there briefly – but the action elects not to, and the film is so much better for embracing its strange cosmic persona. Owing more to Guardians of the Galaxy than perhaps any other Marvel film to date, Thor: Ragnarok finds our intrepid hero scouring the Nine Realms for signs of the Infinity Stones, having now personally dealt with no fewer than three of them (one a valued colleague in the fight against smug robots). Currently he’s hanging around with Surtur (Clancy Brown), the apocalyptic fire giant destined to bring about Ragnarok – the destruction of Asgard. When the hotheaded horror leaks the secret that Odin is no longer at home, Thor treks back to find The Man Who Would Be Dad and rather quickly outs his delinquent brother and sometime archnemesis Loki, pretenting to be Odin Allfather and indulging himself in the most petty of ways. The boys go off to find dear old Dad, running into Infinity Stone #4 in the process, and find the father of the gods in his last moments., He warns them of their elder sister, Hela, who will return from banishment the second he dies. Spoilers: he does, and she does. In their flight from the Goddess of Death, the brothers are knocked out of the magical Bifrost, their galaxy-spanning teleport beam, and end up stranded on a planet of outcasts ruled by the endlessly eccentric Grandmaster, who has plans to feature Thor in his gladiatorial exhibitions and zero interest in… well, to be frank, the interests of anyone else. This is a story whose broad strokes are endlessly predictable, but which revels in the absurdities of detail – sure, you knew that was going to happen, but did this enter the equation as the way it would come together? No, because “this” is invariably silly or at the very least offbeat – the film manages a sort of comic and self-aware zen that it’s comfortable operating within for the whole of its runtime. Very few moments in the film aren’t worthy of at least a chuckle, and those are usually narrative beats that help keep things moving along – Taika Waititi isn’t content to slide to the end on early momentum. I don’t know how a film this overstuffed with characters – so many of them new – can get away with feeling as effortless and easy as it does, but it bodes well for Marvel that they’ve managed to test the theory before having to pull out all the stops in the upcoming Avengers: Infinity War. It helps, no doubt, that everyone climbing aboard is having some amount of heedless fun in their roles. Tessa Thompson makes for an entertaining foil to Thor in her role as Valkyrie, an Asgardian reluctant to return to the battle against the woman who murdered the rest of her kind. Jeff Goldblum is endlessly silly as Jeff Goldblum the Grandmaster, who commands the screen simply by being a massive weirdo at every opportunity. Cate Blanchett is clearly having a ton of fun as the villainous Hela, Goddess of Death, and manages to provide a note of pathos for a character who at times feels like she’s slipped in from another movie and is a bit lost as to why she’s there. Karl Urban rounds out the newcomers as the upjumped also-ran Skurge, now the highest Asgardian functionary by virtue of being the only one Hela hasn’t murdered. This is a bright, colorful, and largely cheerful film – even when dire straits are afoot, there’s an element of “awesome” permeating each moment that sustains the momentum. Idris Elba’s Heimdall makes a welcome return and gets to do more than stand about frowning at his bridge. Tom Hiddleston as Loki continues to be a Marvel power player, bringing so much charisma and character to the role and being given an opportunity for vastly more nuance and depth with the fraternal relationship between the gods of Thunder and Mischief. The greatest asset in the film, however, is Chris Hemsworth himself. Hemsworth has broken out as a comic powerhouse in recent roles, and his Thor here is at turns sagaciously zen, boisterously jovial, and cheerfully out-of-the-loop. If the theme of this film is that a world of nails needs a new approach when you’re short one hammer, then Hemsworth delivers a version of his iconic character who is believably capable of embracing the truth that part of growing up is learning how to walk away. As to its weaknesses… as noted, Hela does end up feeling like she’s involved in a different movie, as does most of the Asgard activity until all plot threads come together. It was perhaps inevitable that in a film with two major antagonists, one would get shortchanged – and the fact that she and the Grandmaster operate in completely unrelated areas means there’s little to build on between them, thematically. It’s as though the film knew it had somewhere to go, but somewhere along the way started having way too much fun getting there. In fairness, given the Marvel train’s unstoppable chug toward Infinity Wars, that’s probably exactly what happened. In any event, Thor: Ragnarok isn’t going to redefine storytelling, fantasy, cosmic stories, the superhero, or really much of anything when it comes to narrative. What it does represent is an often literally brighter vision for Marvel movies going forward, a film happy to embrace the possibilities that Guardians of the Galaxy hinted at. There’s a different style and energy giving life to this threequel, which could have been as drab and tired as its predecessor but instead suggests that, come next May, we’ll all be in for a real treat.